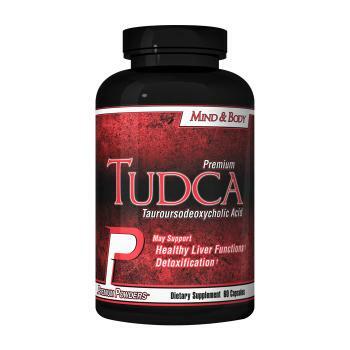 Tauroursodeoxycholic acid , more commonly known as TUDCA, is an ambiphilic bile salt, the taurine conjugated form of ursodeoxycholic acid (UDCA). That's a bunch of long words, but don't worry, we'll explain everything for you here. TUDCA is implicated in many protective effects in the body, primarily aiding in treatment of cholestasis, a condition that blocks or slows the flow of bile from the liver. However, as you'll read in this article, there are a number of additional positive effects of TUDCA that go beyond the liver. This section will explain some general concepts of bile acid synthesis, and give a simple explanation of relevant terms. 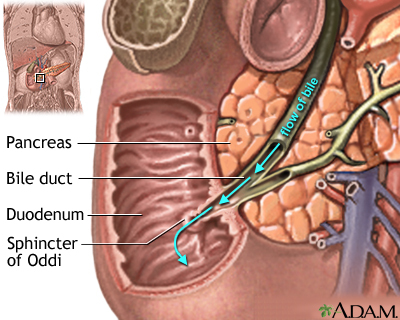 Bile is a bitter fluid that circulates from the liver to the duodenum (the first part of the small intestine) and aids in metabolism and the digestion of fats. Primary bile acids are synthesized in the liver via oxidation of cholesterol into cholic acid and chenodeoxycholic acid. This process is rate-limited by an enzyme that is upregulated by cholesterol and downregulated by cholic acid. Secondary bile acids are synthesized in the small intestine via intestinal bacteria (by dehydroxylating them into deoxycholic acid and lithocholic acid). There are additional forms of the secondary bile acids where the hydroxyl substitutions happen at different places on the molecule. Ursodeoxycholic acid (UDCA) is one of them, the prefix 'urso' hailing to the fact that this acid was first isolated from bears. These acids are typically found in only trace amounts in humans -- if at all. Conjugated bile acids are acids that have been conjugated to a group that grants additional water solubility. These conjugates come in a wide range of forms but often include amino acids that are of particular interest to us. The amino acid taurine is one of these, and can be conjugated to UDCA to form our compound of interest, tauroursodeoxycholic acid (TUDCA). 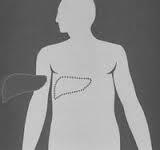 Cholestasis is a condition in which the regular bile acids cannot flow from the liver to the intestine. It can be caused by a physical blockage (which TUDCA will not help with) or as a metabolic side effect of many substances (such as anabolic steroids). This dangerous condition reduces the digestion of fats, and can result in jaundice and destruction of tissue in the liver. Cholestasis in athletes can be caused by supplementation with prohormones, because steroids and prohormones are hepatotoxic. This can be further compounded by the use of methylated oral steroids since they pass through the liver repeatedly via the very process of enterohepatic circulation that is inhibited by cholestasis. This causes repetitive and extended stress on the liver and can result in major metabolic cholestasis. When cholestasis is in effect, it triggers receptors (aptly named 'death receptors') that causes apoptosis (cell death). TUDCA and other hydrophilic bile acids exert a cytoprotective effect on cells (that is, they prevent cell death) by triggering receptors that promote cell survival. This a very simplified explanation of the issue, and if you want to learn more, the linked articles are in mostly understandable terms. 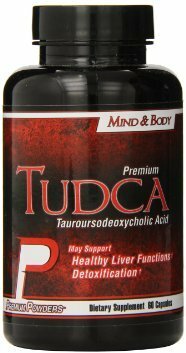 By increasing the portion of TUDCA in bile compared to harmful bile salts, you're diluting the ratio of harmful to protective bile acids. 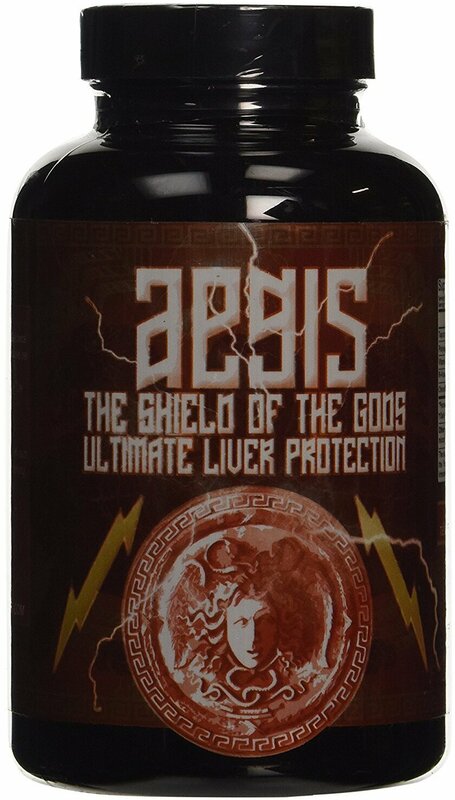 It has been demonstrated to restore glucose homeostasis in the liver, muscle, and fatty tissue. This is probably linked to its attenuation of ER stress. But the exact method behind this action is unknown. In a separate study on humans, TUDCA was shown to increase insulin sensitivity in liver and muscle but not fatty tissue. TUDCA has undergone numerous studies on its potential for increasing metabolic rate, however most of these have been in animals, and the results are inconclusive. In rats, TUDCA supplementation increased circulating adiponectin levels. Levels of this protein are reduced by obesity and it is responsible for regulating glucose levels as well as fatty acid metabolism. TUDCA underwent a year long safety study in humans and was not associated with any adverse effects at all when taken at 500mg daily. In the human study on insulin sensitivity, no adverse effects were noted when consumed at 1,750mg daily for a four weeks. This establishes a good record for safety in humans, something worth touting as many dietary supplements do not have this going for them. On that note, 500mg per day seems to be the preferred dosage. Some products have 250mg dosages, which can be taken one to two times per day. As always, talk with your doctor before beginning any diet or supplementation program, especially with an advanced product like this one. An endocrinologist may help as well, if you are taking this for treatment of hormonal problems. There are several companies that have TUDCA products on the market. Check out our price comparison on this page to see which sites offer the cheapest products. Chances are you'll save 30% to 50% off retail. For a pure product, check out Premium Powders. 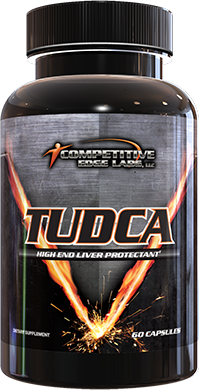 CEL TUDCA is a perfect standalone ingredient for enhancing liver function and supporting it during the most aggressive supplement cycles. Sign up for future TUDCA news! Click the button below to sign up for future TUDCA news, deals, coupons, and reviews! Subscribe for more TUDCA news and alerts! Subscribe to PricePlow on YouTube or click the button below to sign up for our latest TUDCA news and reviews! $41.79 This is a Buy 1 Get 1 FREE offer! $80.46 This is a Buy 1 Get 1 FREE offer!